We are an all hazards department responding to fires, medical emergencies, hazardous materials calls and rescues. Our personnel are trained at the level of professional firefighters. We are staffed with 7 personnel on duty 24 hours a day. The District responds to approximately 50 fires a year. There are 4 fire engines, 2 water tankers and 4 wildland units located throughout the District. The majority of the calls for service in a given year are for medical emergencies. The District provides both basic and advanced life support services to the people of the Sky Valley. The Sky Valley is a place where people come to recreate from across the Puget Sound region, Wallace Falls State Park, the Index Wall and the Skykomish River itself are areas that the District regularly responds to assist those in need. Snohomish County Fire District 26 is committed to reducing risk in our community. We offer public CPR and First Aid, participate in Wildfire protection and monitor outdoor burning in our area. The Snohomish County Fire Marshall’s office provides fire inspection and investigation services to the City of Goldbar, Town of Index and unincorporated portions of the District. Outdoor burning is authorized in the district under certain conditions. 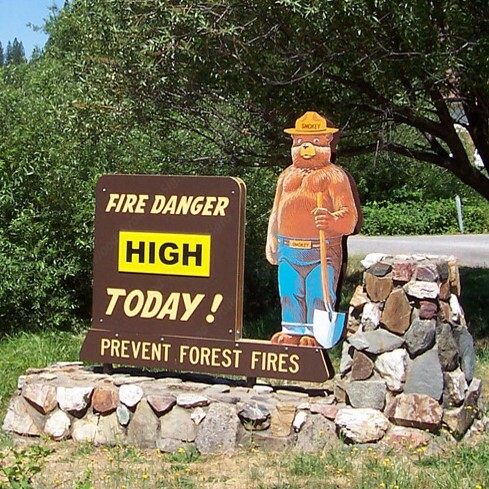 There are outdoor burning regulations in place for the City of Gold Bar and surrounding area. You can apply for a permit online. Learn how to help during a medical emergency. The District offers free CPR and First Aid Classes to the Community. We have regularly scheduled classes throughout the year. Along with the Snohomish County Department of Emergency Management, the District has instituted a plan to help prepare and respond to wildfire in the Skykomish Valley. Fire District provides an annual Firefighter 1 recruit academy as well as hosted training classes throughout the year. The District has a live fire training facility located at Station 54. Fire District 26 has several different programs, whether you want to start a career in the Fire Service or serve your local community. The department relies mainly on volunteers to answer our calls for service. We have a combination of people who respond from home as well as personnel who live outside the area and staff our stations 24/7. Are you a recent high school graduate that is interested in a career in Firefighting? Apply to become a Firefighter/EMT Intern. You will receive all the required training while gaining real world experience.